The landscape for the new Irwin M. Jacobs Elementary School uses its urban 1.6-acre site to maximize outdoor play and educational space. Play and outdoor classroom spaces are coordinated with adjacent building uses and organized around a coastal watershed theme. 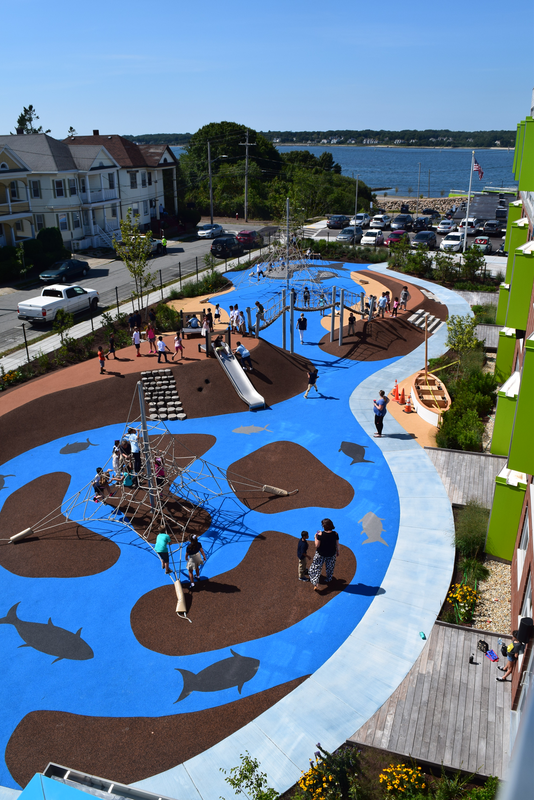 Colorful site surfacing, stormwater management, play spaces, and the plant palette all build off the site’s maritime location near Clark’s Cove in New Bedford. A rooftop garden provides views of the cove and space for Science, Technology, Engineering, Arts, and Math (STEAM) learning experiences, including a school garden used by a local non-profit.